Included in Unesco’s 2016 Cultural Heritage list, the extraordinary architecture of Le Corbusier’s Capitol Complex, designed by Chandigarh in 1951, has received accolades for its celebration of an independent nation open to modernity. The Haute Cour, along with the Secretariat and the Assemblée wing, make up the core of Chandigarh’s Capitol Complex. 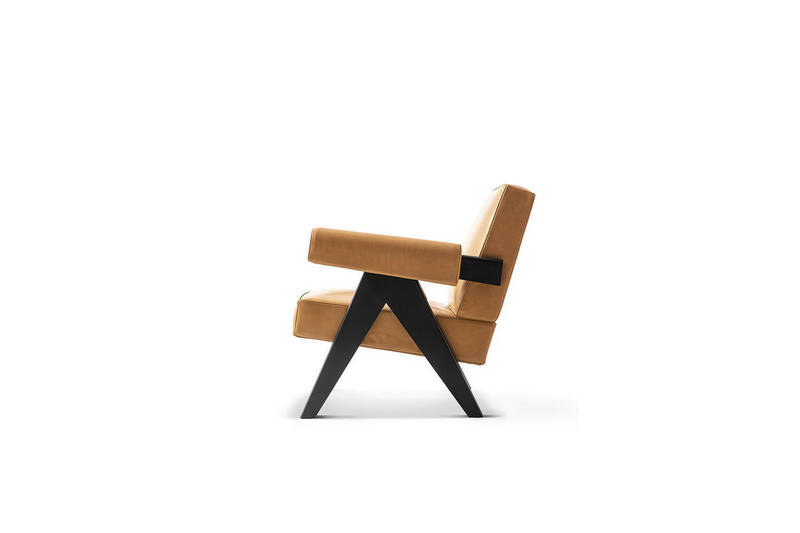 The rooms were filled with overstuffed armchairs, all exhibiting the same “V” support structure theme. The only exposed wooden parts are the rests, connecting crossbars, and the external joints between the arms and the backrest. 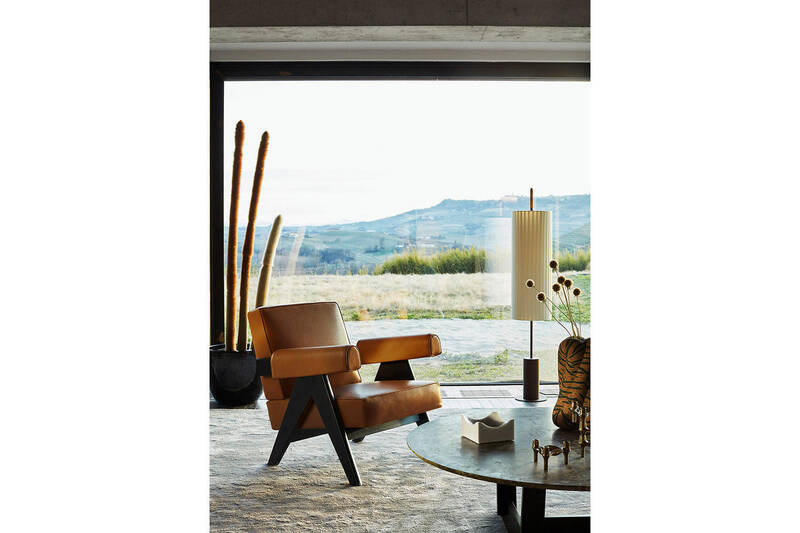 The armrests’ padding almost completely envelops them, creating the outline of a rounded, geometric shape, that along with the distinct seat and back cushioning, offer an immediate sense of comfort without abandoning their elegance and simplicity. 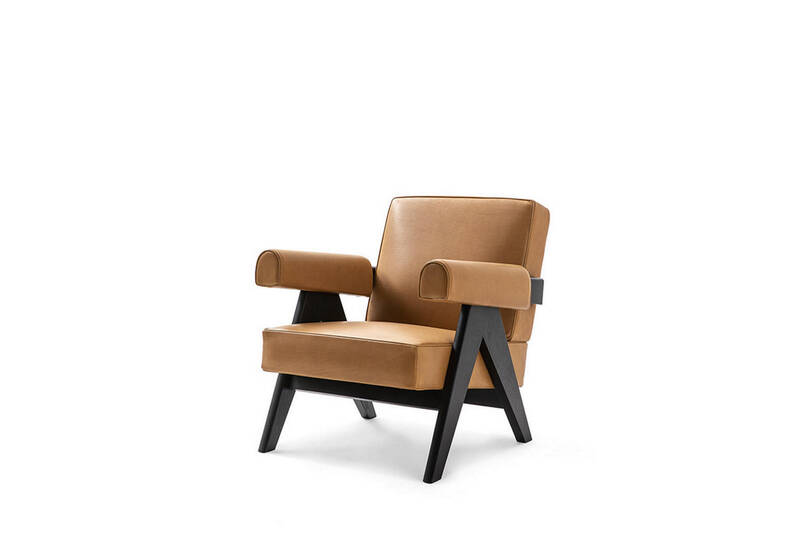 Cassina’s reissue offers the classic version in teak, and two versions in natural and stained black oak.